“Badly maintained and operated vessels have a higher probability of causing loss of human life, loss of vessels and of impacting the marine and coastal environment,” the study states. You can click here to view an infographic about findings of the WWF study, and you can click here to read the study. Many shipping accidents are the result of a failure to obey International Safety Management Code regulations, and injured seamen or their families can be entitled to compensation under the Jones Act in shipping accidents caused by poorly maintained equipment and unseaworthiness under general maritime law. Latti & Anderson LLP has obtained several multi-million dollar verdicts and settlements for clients who sustained injuries in shipping accidents, including a $1.45 million settlement for the descendant of a longshoreman who was crushed to death between shipping containers. You can contact our firm at (800) 392-6072 to schedule a free consultation or you can fill out the form on this page to let our Jones Act attorneys review your case. 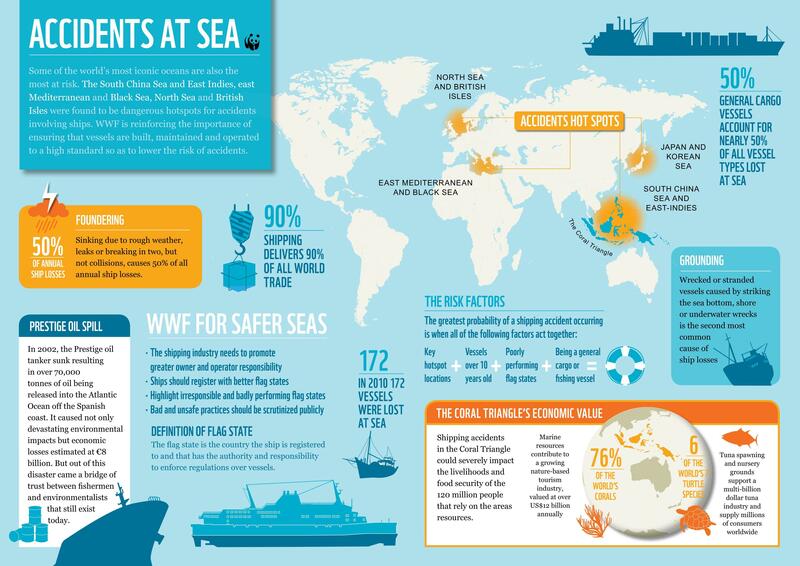 #DidYouKnow A recent World Wildlife Fund (#WWF) report found that 172 vessels were #LostAtSea in 2010.